When I first heard that MAC was releasing a Maleficent themed summer collection I was insanely excited. Soon after, the color story and pictures began to surface and my excitement was completely squashed. It was so plain and boring! Not to mention not very brown girl friendly either. I was going to pass initially but after seeing all the swatches and selfies of True Love’s Kiss I was sucked right in! I’m quite glad I reconsidered. True Love’s Kiss is beautiful! True Love’s Kiss is a creamy, neutral red with an Amplified finish and a very slight hint of shimmer. 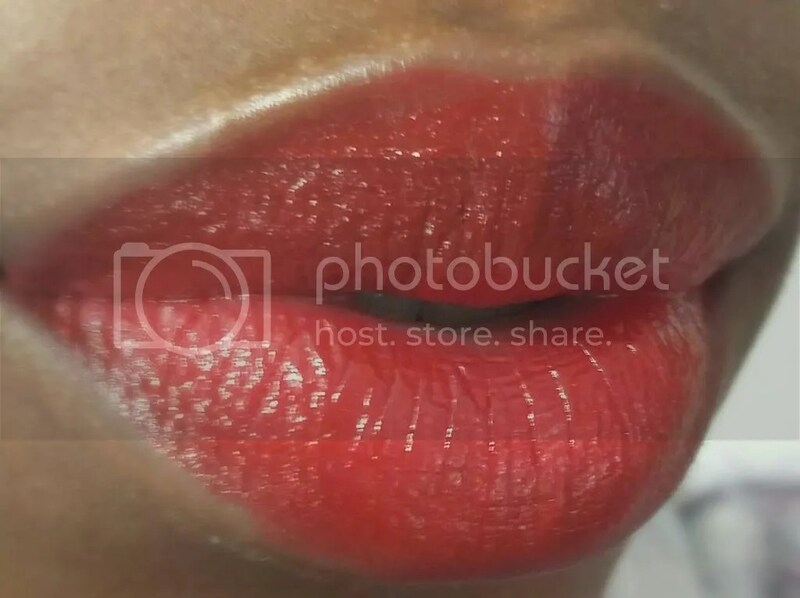 It reminds me a little of Viva Glam Rihanna but it’s a little darker, more red and not nearly as frosty. It does give of that lovely “wet” effect that I like though! I’ve seen True Love’s Kiss pull a warm pinky red on a lot of ladies but it’s more of a true red on me. Very classic! It applies smoothly without any tugging or dragging and is very pigmented. I had no issues achieving a nice even opaque layer in just one swipe. True Love’s Kiss is incredibly creamy so I recommend pairing it with a liner to get a crisp, clean look with no bleeding. I didn’t experience any bleeding (or feathering) during wear but I did find True Love’s Kiss a little difficult to apply neatly. Once it’s on, you’re good to go! 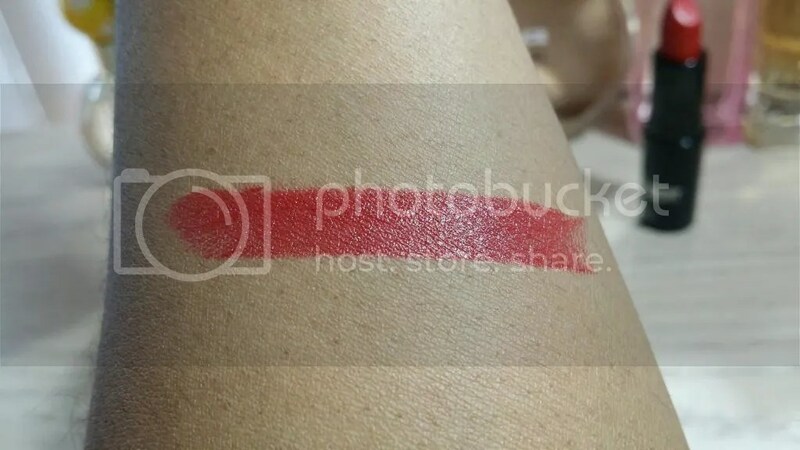 True Love’s Kiss wears quite comfortably for a little over 5 hours before fading into a light stain. I didn’t find it to be drying at all and it didn’t settle into my lip lines like some Amplified lipsticks tend to. 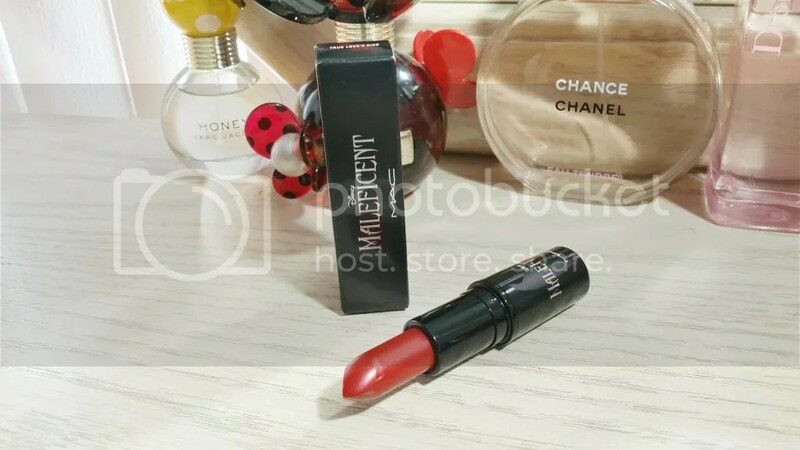 It’s quite a lovely lipstick! True Love’s Kiss is sold out online at MAC but it’s still available online at Macy’s, surprisingly. 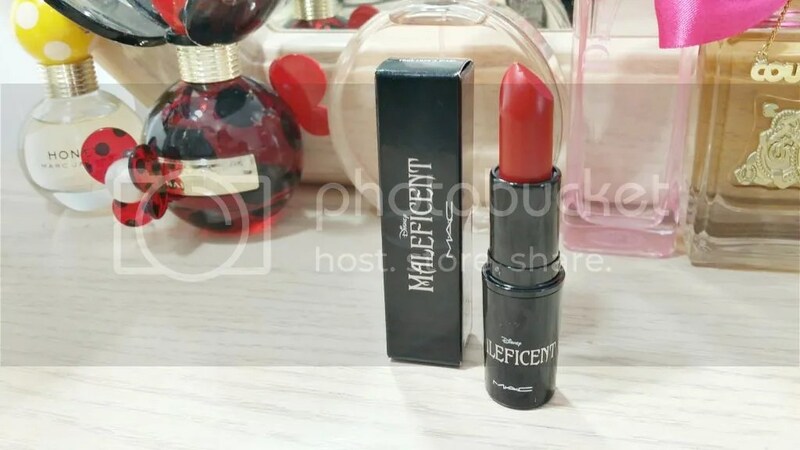 The Maleficent collection only released at MAC stores and select Macy’s counters so you’ll probably have to call around to see if it’s still available near you. It’s definitely worth the try!